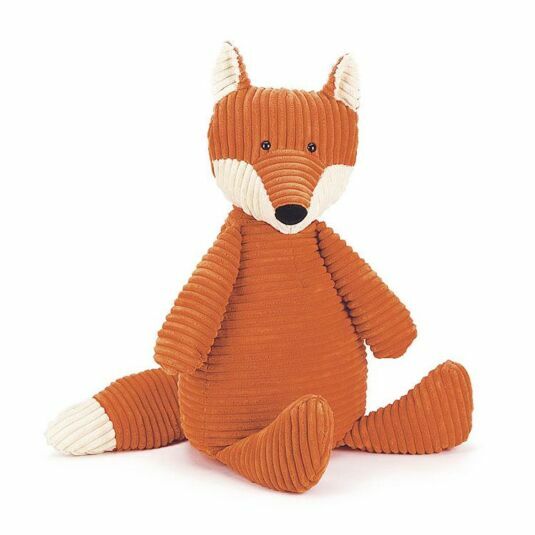 This cunning fox cub is made of chunky ribbed fabric, velvety soft and highly tactile. His bright, beady eyes are full of mischief! Jellycat Cordy Roy Fox just wants to play; his ears are pricked up enquiringly while his soft black nose sniffs for trouble. 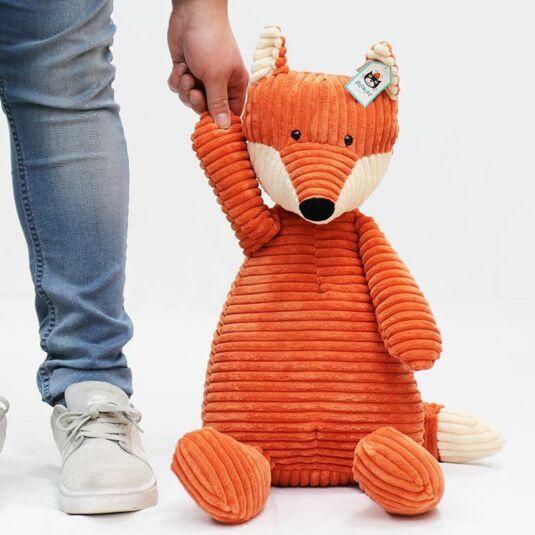 He will be a firm friend, however, as both his orange body and chunky tail are reassuring cuddly, and he will be a reassuring night time companion as well as a day time playmate.